USC Events presents FreakNight Festival, the 20th Anniversary at the Tacoma Dome on Friday, October 28th & Saturday, October 29th 2016! 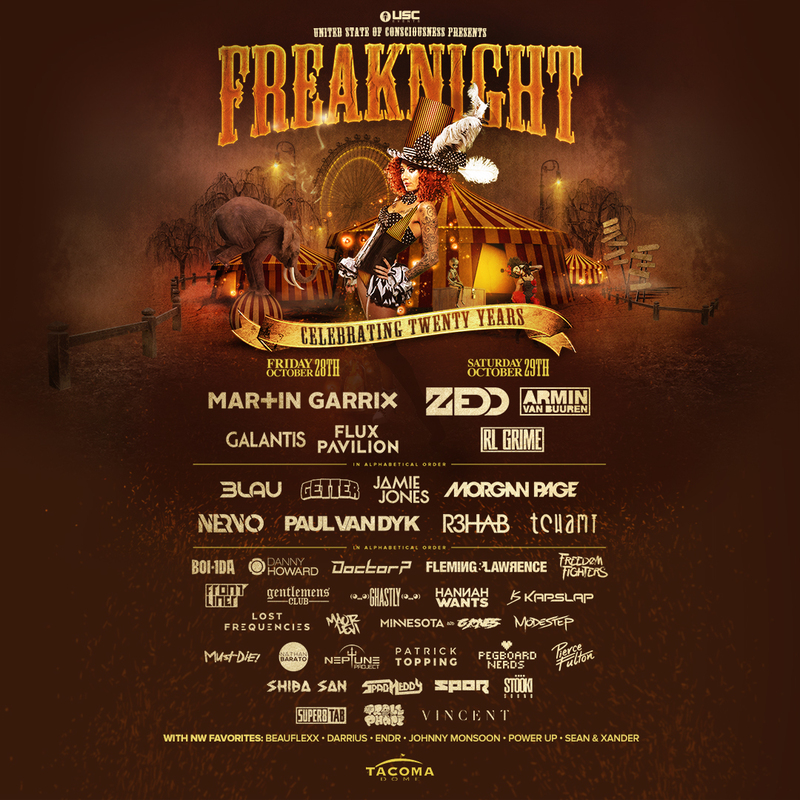 This Fall, the Pacific Northwest’s favorite sinister circus makes its return to Seattle to celebrate its 20th year of haunting the Twisted Big Top… On October 28th & 29th, Freaknight Festival returns to the Tacoma Dome – bigger and badder than ever before. This year’s eerie extravaganza will unleash the curious creatures of the night and reveal the reality-bending rituals of the unruly undead. Step right up and immerse yourself in the brilliant belligerence that is Freaknight – complete with spooky performers, enchanting amusement rides, and devilish decor, this year’s Halloween tradition will leave you begging for more. Let your blood boil to the beat of spellbinding sets. Single day tickets are on sale now! Purchase a Friday or Saturday ticket online. Full weekend passes are still available. Single day tickets will be sold this year! Purchase a Friday or Saturday ticket online. Full weekend passes are still available. 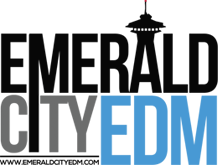 Purchase tickets at the Tacoma Dome box office to save $ on service fees. Win tickets to Freaknight by entering one of the many contests found on our Contests & Giveaways page. Find more information about what is and isn’t allowed, lockers and the festival at FreaknightFestival.com. Only clear bags are permitted, and NO MASKS or “Face Coverings” will be allowed so plan your costumes accordingly. Review the Freaknight FAQs for the full listing of what is and is not allowed. Looking for transportation to the Tacoma Dome? Unity Travel is once again offering a reliable shuttle service: click here to reserve your spot.